Discuss things that haven't been made into Pokemon. I'm surprised that after six generations, we still don't have a dolphin, a koala, or a flamingo Pokemon. EDIT: I just realized that I accidentally posted this in the wrong section. Could someone move it to General Pokemon for me? Last edited by Digimon Kaiser; September 18, 2014 at 03:18:12 PM. I'd like to see another chicken, even though we already have the Blaziken line, because chickens. Also a "real" phoenix, since Moltres and Ho-oh really didn't end up looking anything like phoenixes. Maybe mountain trolls and pixies and traditional fairies, or something also, that's a whole realm they never really went when creating Pokémon designs. Also it's about time they start mocking themselves with the man-made Pokémon thing. When do I get to battle with something that looks like a Game Boy with googly eyes? They need a Pegasus IMO. Mega Rapidash would be fine. ^ There's your phoenix that poops rainbows. I know Pokemon is light on the topic of death, but if Ho-oh is our ho-oh, why has there been no mention of it ever dying? I demand an explanation! I demand more Pokemon based on bacteria and viruses! Just kidding. They look creepy. Last edited by Sub-zero; October 2, 2014 at 08:12:04 PM. Like Kakashi, I would also like to see a peacock Pokemon. But, I would also like to see an ostrich Pokemon, or a chipmunk Pokemon. Patrat is pretty close to a chipmunk, and there are two squirrels (of which chipmunks are): Pachirisu (literally, "sparking squirrel") and Emolga (a flying squirrel). Doduo and Dodrio are partially based on ostrichies. We've got mammoths covered with Mamoswine, and Raikou is partially based on the Smilodon (saber-toothed cat), but neither of which have been fossils. At this point, I'm guessing they want to keep the fossils reptilian (you could also say avian, but that was when they evolved from reptiles). I second the request for a dolphin, though. Why haven't we gotten one of those yet? Last edited by Cat333Pokémon; October 3, 2014 at 12:15:22 PM. Someone mentioned Flygon somewhere and that made me think of a type combination rather than a specific animal. Until recently, Dragon's secondary type representation has been pretty bad (only Flying, Water, Fire, Ground, Steel, Psychic and Ghost until Gen V came along). What about things like Dragon/Fighting and Dragon/Bug and maybe even Dragon/Normal, and maybe a some more variety from Dragon/Grass or Dragon/Steel? With all the myths and legends about dragons that are out and about you'd think they'd be able to do better than slugs and seaweed. - Komodo Dragons - THEY BLOODY WELL HAVE THE WORD "DRAGON" IN THEIR NAME. Come on, people. I could see this as pure Dragon, /Grass, /Ground, /Fighting, or if you want to exaggerate their rough skin a bit /Steel. Monitor lizards are similar animals. - Spitting cobras - Snakes are really awesome animals, and according to most they're pretty scary. Speaking of which, we could use some better snakes than Arbok and Seviper. Dragon/Poison. - Salamanders - "Salamence" and "Charmander" sounds kind of like they were named after "salamander," but they really don't look the part. Dragon/Water, easy. Beef them up a bit and you have /Dark or /Fighting. - Mythical Leviathan - supposedly Kyogre and Gyarados are based on this, but I didn't get that until I Google'd it just now. They really could do something a little more obvious. Another Dragon/Water. Also, most modern movies and things with dragons make them look like armor-plated tanks. It's weird that the only Dragon/Steel they've made (Dialga) looks more like a dinosaur than anything else. If they ever made Mega Yanmega, they should make that Dragon/Bug, considering Yanma/Yanmega looks like a dragonfly. If not, any other dragonfly Pokemon needs to be Dragon/Bug, or else I'd cry in a corner. And I'd love to see a Pokemon based off of a Komodo dragon, I could see great possibilities design-wise, same goes with snakes. Last edited by Bidoof; October 3, 2014 at 12:50:46 PM. Sorry to bump, but let's make a Fake region! What should the Grass/Fire/Water Starter trio be? Not my idea, but for what it's worth back before even Black and White were a thing one of my friends drew up a fakemon starter trio that was fire pig (a few years later, we got Tepig) and a grass goat (and a few years after that, we got Gogoat). Don't remember what the water one was. I'm still observing the noticeable lack of dolphin-ish Pokémon, though, so I'm going to go suggest that. Water/Psychic, I guess, specializes in special attack and special defense. We need actual Samurai-like pokemon (Oshawatt's final stage isnt really this). Heck we have a ninja pokemon now, so why not a samuari. Also maybe a robot pokemon? Like go like Porygon was but make actual robomon. I think they could fix that by creating an ability for Samurott like something that increases moves that require a "slash." 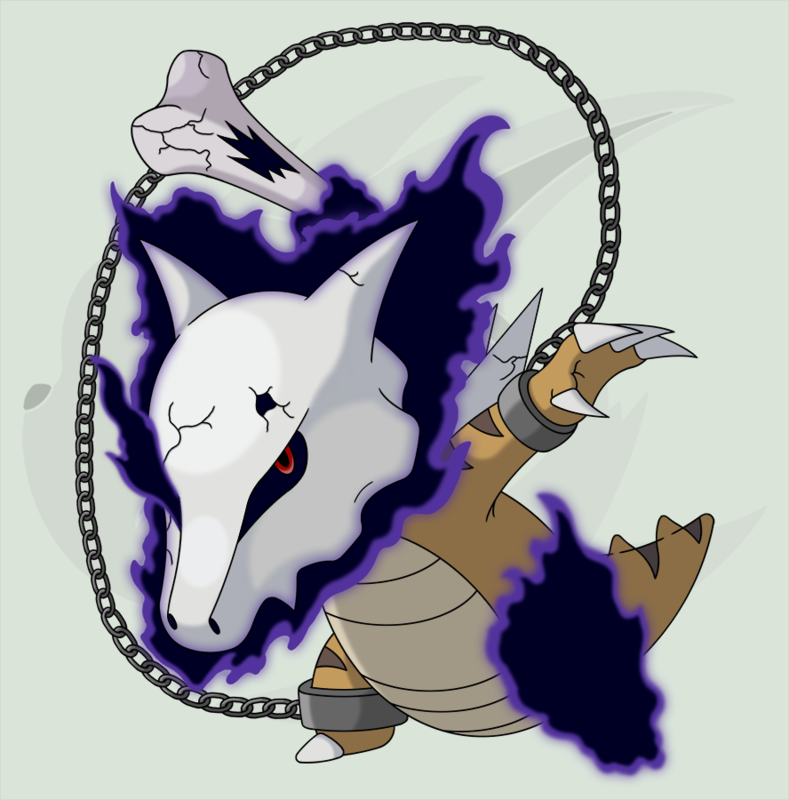 Buffed moves would be stuff like X-Scissor, Night Slash, Slash (obviously) and Razor Shell. Would be cool, huh? a dragonfly pokemon with Bug/dragon typing. In other words, what Flygon should have been? I wonder if this typing would work for its Mega. U-turn stab doesn't sound too bad, honestly. Personally, I would like to see a more competitively viable spider pokemon (Galvantula being the current best in my opinion). I really enjoy the design, but Ariados isn't very strong. Galvantula's actually pretty strong, its Compoundeyes Thunder is one of the scariest thints that can happen to a water or flying type. It also has the benefit of being rarely seen, so a lot of people in the higher tiers have a habit of underestimating its destructive powers.
. . . it's just that like 80% of the rest of the fully evolved metagame is even stronger. I like Galvantula... It has great potential with moves like Thunder STICKY WEB Bug Buzz Volt Switch and Energy Ball... Definitely a useful Pokemon... If only it had a mega that got a huge boost to its fairly disappointing special attack stat! I do wish it had a couple other high-power, low accuracy moves to make use of the Compoundeyes ability, though. Last edited by Kaveman; March 27, 2015 at 05:40:15 PM. I'm thinking of an orca (killer whale), perhaps with moves and abilities similar to a cross between Wailord and Sharpedo. I'd love to see a beta fish pokemon. They could have many color variations. A fire rose pokemon would be interesting too... Fire/grass type.